Save money and avoid late filing penalties. Firstly, this Tax Return is guaranteed to be accepted. Also you do not need a set of accounts. This form makes sure you don't even need to provide any income information. The Tax50 Automated (SA100) submission form is simple. As a result of this, you will find it easy. Tax50 has made sure the (SA100) submission form includes all of the data required. HMRC will process your Tax Return correctly and accordingly. Our unique system is fully automated. Once you have submitted the Automated (SA100) submission form and paid your £50 fee, you will receive an email confirmation of acceptance by HMRC within 48 hours. The Tax50 Automated (SA100) submission form is guaranteed to be accepted by HMRC. This will make sure you avoid late filing penalties. This will also give you further time to get your affairs in order. Talk to a Tax50 Accountant on 01942 - 538 239. In the unlikely event that your Automated (SA100) Tax Return is chosen for further scrutiny at random by HMRC, we will liaise with HMRC on your behalf. We will provide you with free advice and guidance to help you comply. We will also advise you on which Accounts & Taxation Solutions would be best suited to your requirements moving forward to help make the management and administration of taxation in your life more convenient. Talk to Tax50 on 01942 - 538 239. As a result of our expertise and experience, you can be confident Tax50 will help you. If you are permanently self employed or if you have an additional income the Tax50 Automated (SA100) is ideal for you. Talk to a Tax50 accountant now on 01942 - 538 239. You will avoid a late filing penalty if you complete the Automated Tax Return form before Midnight on the 30th of January. If you have already received notifications of penalties from HMRC, as soon as you submit the Automated Tax Return form, no further late filing charges will be issued by HMRC from then on. Contact us and a Tax50 Accountant will talk to you: 01942 - 538 239. You have no requirement to register with HMRC Online Filing Services. It is also not necessary to register for a Government Gateway Identifier. The Tax50 Automated Tax Return form carries all of the necessary information to satisfy the HMRC submission requirements in full. This saves you the hassle of Registering for a Government Gateway Identifier. You will have no need to enrol for HMRC Online Services. activating your account with an Authorisation Code sent to you by post from HMRC will be a thing of the past. You can avoid the entire time consuming and arduous process by using Tax50. Talk to Tax50 on 01942 - 538 239. You do not need to be registered with any other accountant. You can engage Tax50 to prepare your accounts. Once your Automated Tax Return is received by HMRC, we will automatically request an Authorisation Code. By doing this you can formally register Tax50 as your accountant and take advantage of our great Accounts & Taxation Solutions. You can talk to a Tax50 Accountant now on 01942 - 538 239. If you have any questions or concerns, call Tax50 for expert and experienced accounting and taxation advice. Tax50 is here to help you and to make sure you understand how the rules of taxation work. Tax50 wants you to know how taxation applies to you with your own personal circumstances. Our invaluable and revolutionary Automated Tax Return (SA100) is just £50.00. This represents exceptional value for money. When you consider the immense strategic importance of such a solution you can see the benefit. You will find that the value for money you receive from our Accounts & Tax Solutions also far exceeds your expectations. Tax50 also gives you practical advice on how to manage your business and tax affairs in the most efficient manner possible. Furthermore this advice is tailored to suit your business and lifestyle requirements. 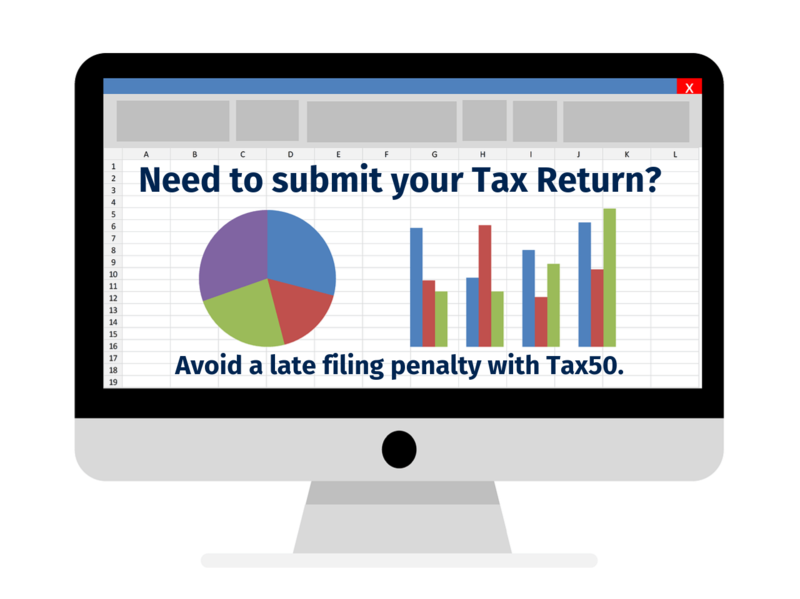 Finally Tax50 will help you avoid costly late filing penalties. Not every accountant is the same. Not every accountant will help you in the same way. Look no further if you need help with HMRC. Tax50 will always make sure that you get the best advice. HMRC (Her Majesty's Revenue and Customs), is responsible for the collection of taxes. These taxes come in a variety of forms such as Direct Taxes, Indirect Taxes and Stealth Taxes. You will be affected by these taxes in a variety of manners. Whether you are an individual or a business you will always need to consider the effect of taxation. This applies to almost every aspect of your activities. Tax50 can help you with all aspects of taxation including Income Tax, VAT, Corporation Tax, PAYE (Pay As You Earn), C.I.S. (Construction Industry Scheme) and Capital Gains Tax. You need an accountant that has experience in dealing with all aspects of taxation and is capable of explaining your options in a manner that is easy to understand. You need an accountant that has experience in dealing with your type of business. Tax50 will provide you with excellent advice. Our advice will help you run your business in an efficient and profitable manner. Tax50 will always provide you with the right Accounting Solution for you. We will help you incorporate all trading functions such as Payroll, VAT Compliance, Bookkeeping, Accounts production and Tax Efficiency into a simple solution. The solution we provide will be invaluable to you. Look no further, let Tax50 help you make managing accounts and taxation straightforward and efficient.